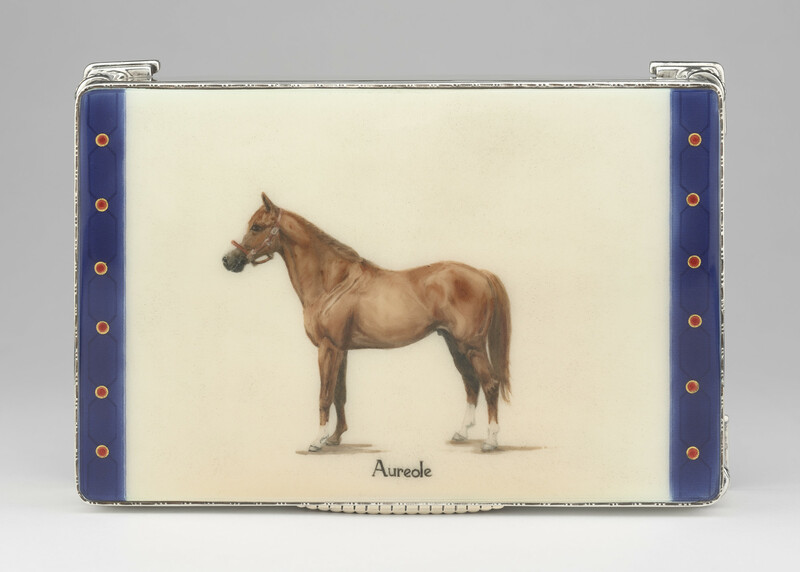 Rectangular silver and enamel cigarette box, hinged lid enamelled with image of racehorse Aureole on cream background and flanked by bands of blue enamel. Back of box cast with pillars terminating in bracket feet, base engraved with inscription. Interior lined with balsawood.